Part of selling real estate and getting your price is making it super appealing to buyers. Makes sense, but what you have to remember is that something great for you, may be a turn off for buyers. Here are some of the biggest. Dirt and bad odors. 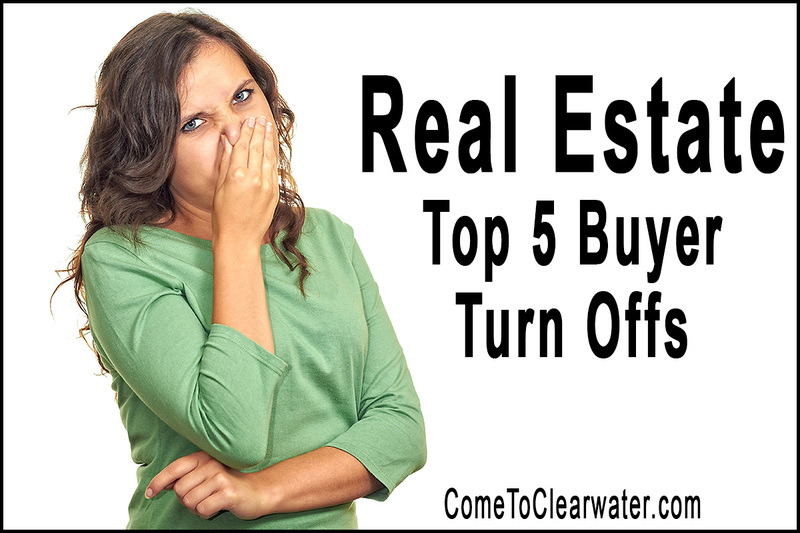 The first and biggest turn off for buyers is dirt and odors. Of course, some people have higher definitions of “clean” than others, but you should never show a house with visible dirt. Even if it isn’t the most up to date, it better be clean. That includes smells. An obvious turn off smell is cigarette smoke. A serious, thorough cleaning, may help get rid of that, and replacing curtains, drapes and carpeting that all hold the smoke smell will help. Then take the smoking OUTSIDE! Pet smells are next. They can be incredibly hard to get rid of, since they can seep into flooring. Other smells like cooking odors and perfumes. Make sure the house is clean and be light on perfumey air fresheners. A good way to have a great smelling home is to make toast and add cinnamon sugar to it just before your open house or private showing. Crazy paint colors are another turn off. Color has a huge effect on mood. You can’t please every style, and sure the Realtor can tell them “so you can repaint” but who wants to move into a home and immediately have to work it? Best bet is to repaint in a neutral palette. A messy outdoor space or a super landscaped property. This sounds like it’s a “you can’t win” situation, but there is a happy medium. A messy yard, meaning unmowed, messy gardens and kids toys or junk everywhere, turns people off before they even get inside. A very intricately manicured property screams “YOU’LL BE DOING YARD WORK ALL THE TIME!” to buyers. The amount of work to keep up with it can turn buyers off. Weird renovation projects. Renovating is usually a good thing, but putting things in odd places, or making a room into something it obviously wasn’t supposed to be is a big turn off. If it makes a buyer see dollar signs to put it back to what it should be, they will go running in the other direction. 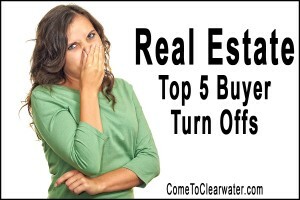 There are others, but concentrate on these few and your home will sell much faster!